The title itself has a strange note that grips your attention. ‘The Games We Play ... Under the Coconut Trees’ sends you back to a time when you were carefree and ready to enjoy a game of cards or board games. Infused with tropical pop bravado of South Asian and Californian sensibility, these paintings are the recollections of thoughts that Josephine Balakrishnan had in her childhood when she used popular children’s games to combine with imagination to make up stories. Her work explores the emotions and consequences the games have on children, how they teach them to take risks, barter and communicate while winning and losing relationships. It is all blended with our personality for the reactions and choices reflect what we are. 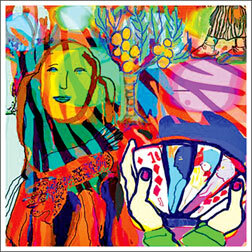 ‘Games We Play’ is a compilation of around 28 paintings by Balakrishnan on exhibit at the Barefoot Gallery till September 7. Born in England, Balakrishnan had spent the latter part of her life on the move. She had visited many parts of the world, Asia, Europe and South America before finally settling down in Central California, North America. The tales that her mother would relate to them about her ancestors in Sri Lanka fascinated the young girl and encouraged her power of imagination. Hailing from a family of artists, she had taken up the brush at an early age and express her thoughts to others by transmuting the images of her mind to colourful sketches on canvas. Her work is made up of symbols, the social backdrop and colour sense taken from her travels in countries like India, Sri Lanka and Europe. 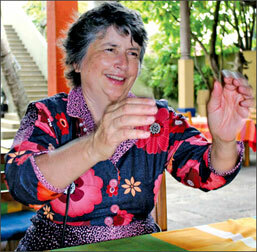 She relates that her work often needs a sense of more than one culture to decipher its content. “There are three aspects to the paintings. One is basically about the games that play like scrabble, monopoly, snakes and ladders, cards and many more. There is a psychological side to games which involves what we do and react towards each other. Then there is the inner part which of the game which relates a story through symbols and colour,” Balakrishnan explained. One of her stories relates a tale of a man who had come home to find that his wife had all the cupboards open. He had warned her to keep the cupboards locked and once he discovered that she had disobeyed him it was a sign that their relationship was coming to an end. Josephine had held painting exhibitions at the Barefoot Gallery for more than 20 years. She had also exhibited her work abroad and some of her work had been sold in major museum stores like the National Gallery, Museum of Modern Art New York, Chicago Art Institute, Guggenheim and many more. “I am doing pretty well and I guess that the Californian colours and the tropical shades in the paintings speak to both communities. I found a printing medium from which I could keep the intensity of the colours,” she said adding that she had been searching for a method to preserve the vibrant shades of her paintings for the past couple of years. “Painting had always been something that I loved to do and my family had always been very supportive towards enhancing my talent. I have also done sculptures but painting took over once I went to New York. 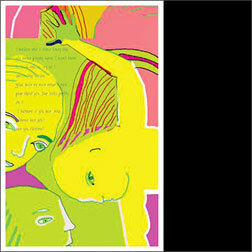 I have also done printmaking and I hope to venture towards filmmaking. I also have a series of 13 six foot five by five paintings titled ‘Pilgrims in the Diaspora’ which I hope to launch along with a small audition book,” she stated concluding that she aims to inspire others to tell their own stories, to use their own images without imitating others work. K.B. Herath’s new stage play Jagath Ma (Mother Universe) will be performed on August 29 at 3.30 and 6.45 p.m. This drama evolves around the tragedy of those who attempt to challenge the very existence of nature. It shows that man is but a part of nature not its guardian or controller. Rathna Lalani Jayakody, Sampath Thennakoon, Indika Ferdinando, Madhanie Malwatta and Lanka Bandaranayake are playing the lead roles. 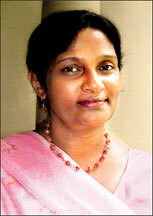 Music is by Shantha Peiris while the settings are by Dhanajaya Karunarathne. Costumes are by Sweenitha Perera. Make up is by Buddhadasa Galappaththi. Production Manager is Jude Srimal. The series of stage dramas Sihina Rangahala (Theatre of Dreams) written and directed by Dananjaya Karunaratne will be staged on August 30 at 3.30 p.m. and 6.45 p.m. Chandani Seneviratne and Susith Nishantha will be part of the cast in Valentine Enakan, Saumya Liyanage in Last Bus Eke Kathawa, Palitha Silva and Madini Malwatta in Chandrawathie Samaga Rathriyak, Chamal Ranasinghe and Dimithu Chinthaka in Duwana Un Dennek, Kaushalya Fernando, Chamila Peiris and Sanath Wimalasiri in Oba Sapekshai. All the above dramas have won the awards at the State and Youth drama festivals. Music director will be Kapila Poogalaarchchi, lighting designer Wasantha Kumara, make-up artist Bhanu Prasanna, while Kosala Thottawathge will be assisting in Direction. Stage supervision by Sameera Nuwan and Sumeda Niroshan, stage arrangements and costumes will be by Danajaya Karunaratne and Juge Shrimal will be the chief organiser of ‘Sihina Rangahala’. ‘Sihina Rangahala’ sponsored by Sunethra Bandaranaike Foundation. The latest addition to the series Duwana Un Dennek will also be scheduled to be staged. It is a tragi-comedy influence by physical theatre. 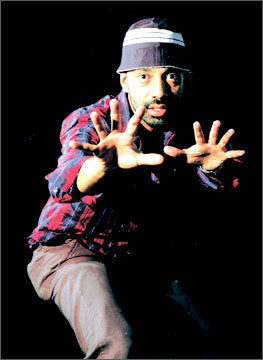 Over the past few years Dhanajaya has been experimenting in search of a more proactive and sensitive style of theatre. This series is a successful result of above experiment. After a while the drama series is reproduced with the original cast since there is a growing demand for Dhananjaya’s plays. New interpretation has been added to the plays. One of the plays, ‘Last Bus Eke Kathawa’ has been translated into English and shown in many countries. Some of the plays have been already published as a book named ‘Last Bus Eke Kathawa’. 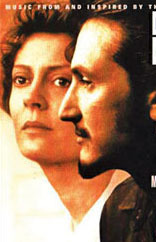 “Dead Man Walking” will be screened at Russian Centre, Colombo, on August 30 at 5 pm.‘Dead Man Walking’ (1995) directed by Tim Robbins, won Oscar ( academy award winner) for best actress Susan Sarandon. Starring Sean Penn, Robert Prosky, Raymond J. Barry, R. Lee Ermey. ‘Dead Man Walking’ based on a true story. Mattew Poncelet (Sean Penn) is the convicted killer of two teenage lovers, waiting to end his sentence and his life on Death Row. In response to a letter, the progressive and outspoken Sister Helen Prejean (Susan Sarandon) visits Matthew and finds herself face to face with a convicted killer who continues to plead his innocence when the date is set for his execution - death by lethal injection. Poncelet asks Sister Helen to be his spiritual advisor, and she agrees, little knowing the anguish and pain that will follow for him for her and for the parents of the children he is accused of slaughtering. The journey they will undertake in search of the truth is as powerful and profound as you are ever likely to witness on screen. Renowned vocalist Sunil Malawana, who had churned out many favourite numbers like Api Dedena and Mala, had launched his newest track Katath Katath. The music video is now being aired on television channels and is fast becoming a hot favourite among music enthusiasts. a guitarist. He is the younger brother of popular vocalist Annesely Malawana and had played for Moonstones and later the celebrated Super Golden Chimes. 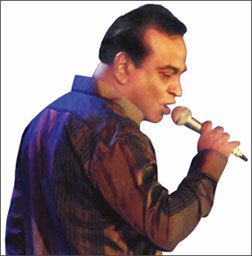 His first Sinhala song Api Dedena was released in 2004 to coincide with the Super Golden Chimes Reunion Concert. Mala followed and became an instant hit. He also composed an English number, ‘Brown-eyed Girl’. Sunil’s music videos are created by Wide Angle Productions. He hopes to add six more tracks before launching an album. He plans to donate the money from the album to charity. Currently involved in the shipping business, Sunil believes that songs need not be necessarily rapped to attain fame. Renowned young journalist and critic Nuwan Nayanajith Kumara’s latest book Gaddarika Pravahaya hevath Sukiri Batillanga Lokaya (Undiscerning) will be launched at the BMICH (Hall A) on September 4 at 4 p.m. The event is organised by Pansilu Arts Circle and Sunil Aruna Weerasiri. Dr. Praneeth Abayasundara, a senior lecturer of the University of Sri Jayawardenapura, will chair the event while veteran filmmaker Jayantha Chandrasiri and popular media personality Jackson Anthony will deliver speeches. Classical songs will be sung by veteran vocalists Nanda Malini, Jayantha Ratnayake, Kelum Ratnayake. Indika Upamali, Shashika Nisansala, Isuru Jayaratne, Iman Perera, Ranjan Saliya Perera, Harshana Dissanayake, Mangalika Thenakoon, Ayesha Samaradivakara and the Lionel Ranwala troupe backed by Sahan Ranwala. A host of upcoming young vocalists will also take part at the event with the dance troupe trained by Dr. Ariyaratne Kaluarachchi of the University of Visual and Performing Arts. Compering will be handled by two generations represented by Indunil Dissanayake, Tharaka Wasalamudaliarachchi and Sandamali Hewanayake respectively. The script is by Wasantha Kumara Kobawaka. Year 1977 witnessed the emergence of the open economy with new trends in mass communication. 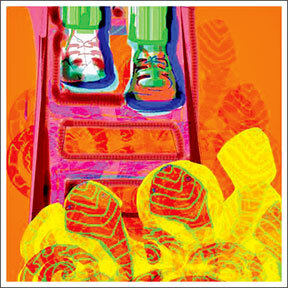 Nayanajith’s work discusses the way the intellectual capacity of the young generation was affected by these new trends. It emphasises the need of creating a Sri Lankan identity in the globalisation process, overcoming the artificial waves of open economy. The book analyses how the Sri Lankan society abandoned the Theravada Buddhist tradition by embracing the Western way in an inappropriate manner. The book, containing 523 pages with 300 rare photographs, is a Sarasaviya bookshop Publication. Nayanajith, a Lake House journalist and a visiting lecturer at the University of Visual and Performing Arts, has authored a number of publications: Adyatana Cinemave Lingika Pravanatava (1999), Gamini Vishviya Rupanavedayaka Asiyanu Purogamiya (2004), Sri Lankeya Cinema Vansaya (2005) and Lester Virachita Lekhana Sanhita (2006). He will be launching his official website www.nuwannayanajith.com designed by Prabath Withanage, a University of Kelaniya undergraduate. 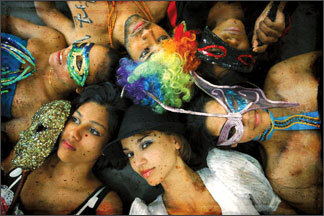 Art Walk 2008, a dazzling show put together by the dynamic Anjuli Flamer-Caldera, will feature the creations of young artists such as Deandra Bulner, Rohen Wijeysekera, Natasha Jayasuriya, Natalie Jayasuriya, Suba Menike, Shanika Perera, Thisakya Senanayake, Saraah Deen, Tarja de Silva and many others. Photographer Sandun de Silva will present ‘The Seven Deadly Sins’ along with Darshi Keerthisena of Buddhi Batiks, Anitra Pieris of Artina Style and Mihiri Devendrathem will showcase their creations too. Hair and make up by Ramani Fernando, dramatic art make up by Jacquie Mei and a hair show segment will be presented by Vasantha of Salon Kess with photography exhibitions by Pat Memelka and Anjali Mahendran. Forty segments that encompasses Human Body Collages, Exotic Floral Art, accessories made out of recycled material, a Dramatic Costume fashion show by Natasha Jayasuriya and Tarja de Silva (comprising of Gothic Ballerina’s and Fairies) and the launch of Natalie Jayasuriya and Tamara Raymond’s newest clothing lines - Baby Bling and Sista. 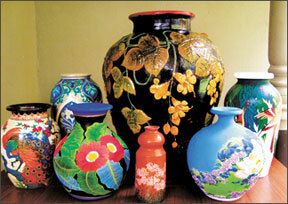 Art Walk will have on display everything from funky clothes, to hand-made jewellery, and a flipbook of photographs. It will feature dancing, modelling and a performance arts section; which will give the audience some serious food for thought. Art Walk will be on August 29, at the Part Street Warehouse, followed by an after-party. Award-winning writer Somaweera Senanayake’s latest work on Buddhism entitled Sathun Athara Bosathvaru will be launched at Dayawansa Jayakody Book Exhibition Hall, Colombo on August 26 at 10 a.m.
Senanayake is the author of Raja Kale Punchi Lamai, Mavakage Geethaya, Yashoravaya, Menik Nadiya Galabasi, Paramitha, Andurata Pahanak, Api Thavamath Sansare and Baladevage Lokaya. 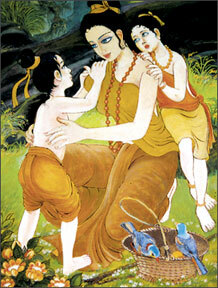 Sathun Athara Bosathvaru is a Dayawansa Jayakody publication. 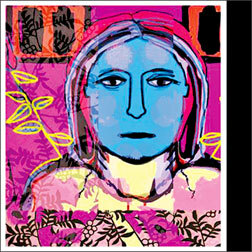 The passion for textile printing and pottery carving commenced from her childhood. Inspired by her surroundings in Meevatura, Kandy, Kusum Mangalika took up the brush to set the images on her mind to cloth. Her flair for art and pottery carving originated from her school days at Sri Rahula College, Katugastota, and she was able to develop her hobby to take shape into an exhibition titled Sith Ru Udana which will unfold at the Lionel Wendt Art Gallery from August 29 to 31. A student of E.K. Abeyratne and one of the pioneers of the 52-year-history of picture stories she had contributed to Multipacks Publications, Camillus Publications and Sumathi Publications for many years. She had also designed book covers for several well-known authors. 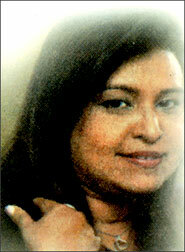 Nightingale of Sinhala Pop and Baila, Mariazelle Gunathilaka will be the ‘star’ attraction at the Old Thomians’ Swimming Club, Monthly Club Night at the Club House premises on August 30 at 8 p.m.
Western oldies. ‘Wild Flowers’ led by Bastion will be the three piece backing band and Brian Thomas will be the host. The event is open to all members, their families and guests, says the social secretary of the OTSC Tusita de Alwis.